Saba Qamar is the most talented, versatile and stunning actress in the Pakistani industry. She has always worked her magic and knows how to impress people with her talent and persona. Saba Qamar was a class apart in her Bollywood debut film Hindi Medium. Then she got, even more, praises for her work in Baaghi where she portrayed the deceased social media starlet Qandeel Baloch with perfection. 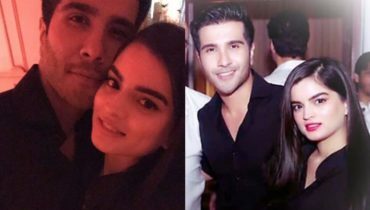 Saba Qamar praised Bilal Abbas Khan some time back and Bilal was overwhelmed on the words as he is a big fan of Saba’s work. Both the stars are now going to be seen in a drama together. This is going to be an interesting pairing. 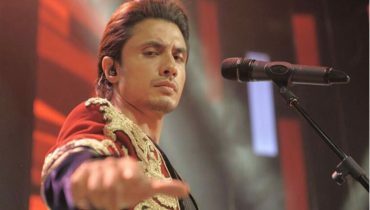 Bilal is already a part of a hit drama Balah on ARY. 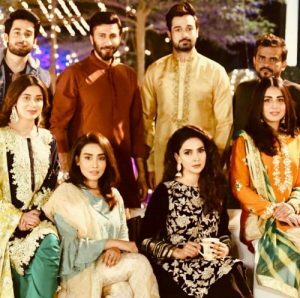 Saba Qamar is shining on the sets of Cheekh. In some BTS pictures, she was seen wearing traditional ensembles and she looked simply like a vision. Saba was shining in the outfit with beautiful make up and her hair styled in curls. 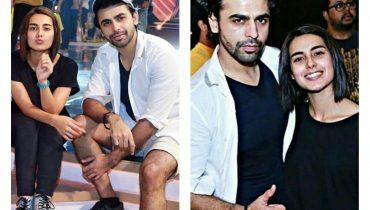 Here is how she stunned on the sets of Cheekh. 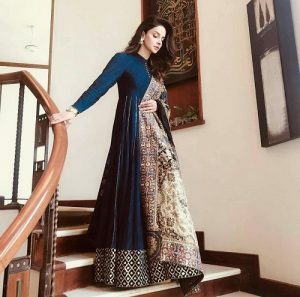 Saba Qamar definitely is a vision in this black outfit and the actress knows how to stand out in anything she chooses to wear.